When entering this room you are enveloped in a slightly perceivable and delicate scent of lavender that is gathered from the plants on the property grounds and that isn’t chemically treated and is naturally dried. The colours of the curtains and bedcover and the elegant colour combinations in the bathroom are reminiscent of this simple plant that contains a treasure in its rich scent which has well-known relaxing effects. he floor is of brushed larch wood. 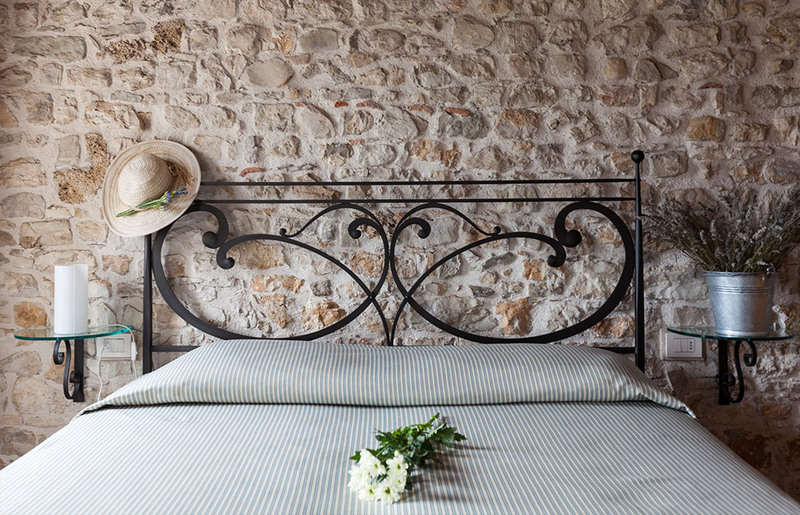 The linear, but striking iron-wrought bed is leaned against the stone wall, an original part of the old building. The windows face south and have a view solely of vineyards and the generous and brilliant sun enters through the glass. 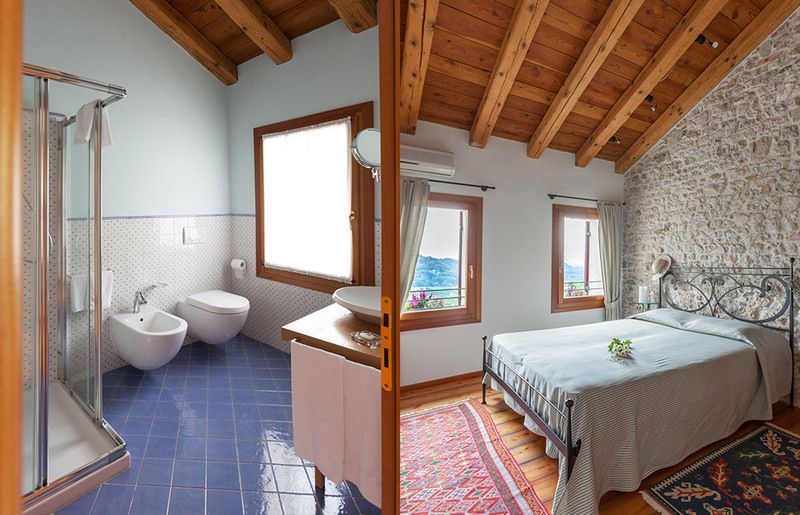 Facilities: Private bathroom with shower and hairdryer, satellite TV, minibar, air conditioning / heating, wi-fi, views of the hills and vineyards.